Morgan Cummins, senior recruitment manager at TalentHub, tells us why Dublin is becoming the new creative hub of Europe and THE place to rocket fuel your career. 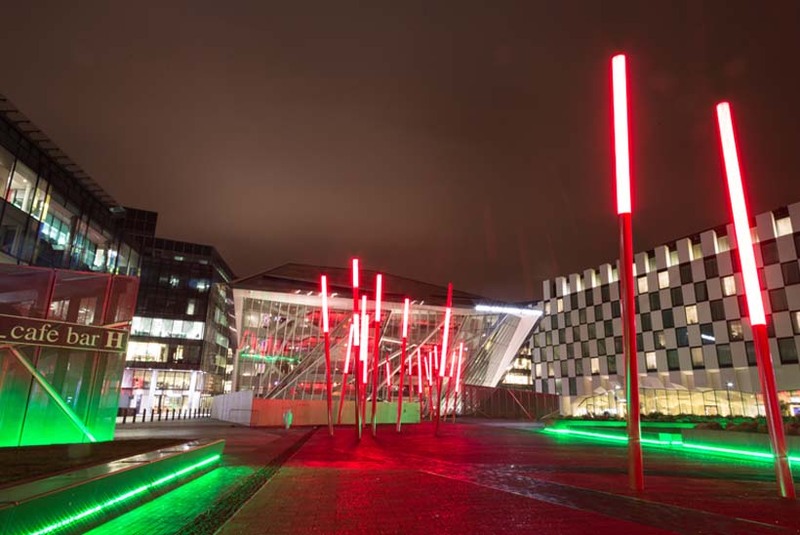 Over the last eight years, the likes of Google, Facebook and Amazon have set up their EMEA head offices in a part of Dublin that has been renamed ‘Silicon Docks’. 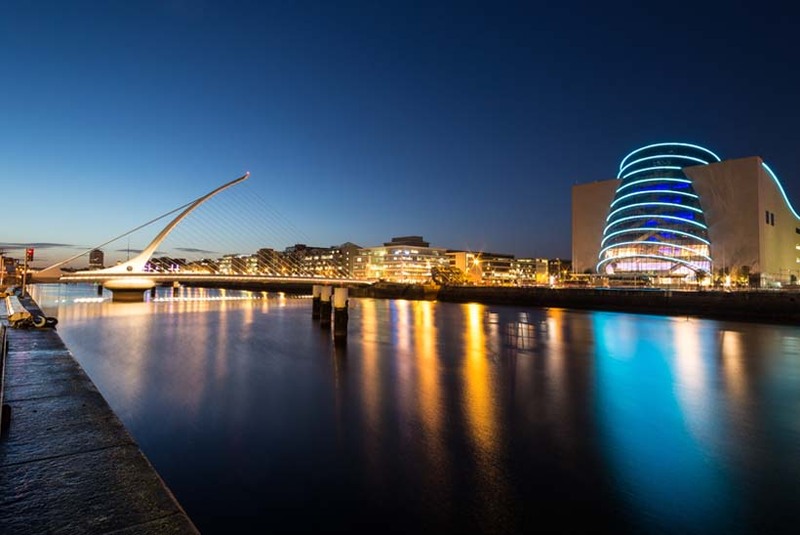 As a result, Dublin has emerged as the technology hub in Western Europe with a vibrant start-up scene that has shaped the homegrown international success of companies like CarTrawler, Hostelworld.com, Intercom, Datahug and CurrencyFair, amongst others. However, this has led to a brain drain of talent from the communications industry as the lure of free pizza from Facebook and international travel to the valley has taken some of Ireland’s most talented ad executives to the media publisher side. Many of our agency clients feel they’re becoming the training ground for young advertising execs to hone their skills for a couple of years before they get a call to go and work for the tech giants like Google and Facebook. A hotbed of entrepreneurship, Ireland boasts a young, vibrant and well educated workforce. To give you an idea of the scale of opportunity out here, Dublin is home to 2,000 startups and 200 global tech companies, and in 2015, over €300 million in funding was raised in Dublin alone. Add to this Ireland’s low corporation tax rate of 12.5% that continues to attract the best tech companies and you have only begun to uncover the benefits of choosing Ireland as the destination to rocket fuel your career. There are many reasons why top companies are choosing Ireland - from our favourable low tax regime and supportive environment for startups, to the availability of a high skilled and well educated workforce. And of course the great quality of life here. Multinationals have made a conscious decision to become thought leaders in emerging technologies such as block-chain, machine learning and experiential design. As a result, Ireland often gets used as a test market for their product launches and innovations. Local agencies have been winning big international projects. For example, the global Heineken and Hailo account is run from one of Ireland’s leading creative agencies, Rothco. As a direct result, Dublin agencies are looking to replace the likes of Amsterdam as the new creative hub of Europe. This is giving talent in Ireland the chance to work on really innovative and award-winning projects with their global clients. It is now the norm for Irish agencies to bring home Lions from the Cannes festival. Also, in terms of getting to trial out digital media firsts, media providers like Facebook and Google are very open to working closely with the local agencies and letting them experiment with their platforms and channels. On the digital agency side, start up agencies like Wolfgang Digital have been winning major European awards and last year won the coveted Grand Prix at the UK’s Drum Search Awards. Are your skills in high demand? Due to technology advances and innovation in the media and advertising industry, we are seeing a lack of people for agency roles (media, digital & creative) such as client service account directors, board directors, strategic planners, creative directors and digital strategists. Rapid growth in the e-commerce fintech industry is also creating a lack of front end developers, UX/UI specialists, e-commerce managers, multi-channel directors and e-commerce analysts. Digital is critical but understanding that this is just another channel to use to speak directly to your customer, and not the silver bullet, is essential. Experience of working in multiple markets across different time zones is also key. A lot of our agency clients operate in agile fast-paced environments, so experience of this is a great advantage. Finally, having the strategic ability to look at complex data and turn this into actionable insights will see you advance really quickly and make a name for yourself in this market. 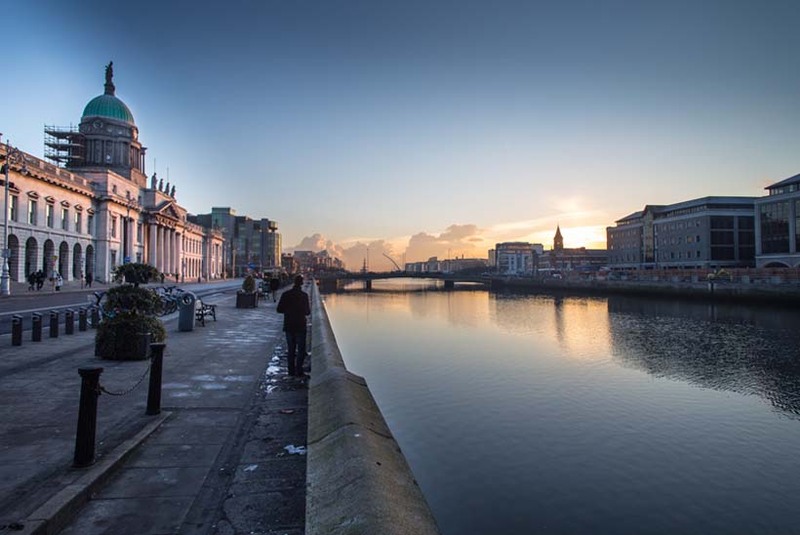 Clients and global media suppliers highly value professionals with international experience, so if your long-term plan is to move client-side, a Dublin move could provide the perfect stepping stone. You can advance really quickly in ad land as the average size of a full service agency is between 60 to 80 people. Also, as a lot of the agencies are owner owned, you’re likely to get the opportunity to receive equity in the business and a seat on the board. On a like for like level, London will always offer higher salary packages than Dublin due to the larger size of the market there, but with Google and Facebook in place, Dublin can now compete. For example, a senior executive at Google in Dublin can take home 250,000 euro gross per annum, plus bonuses of up to 50%. Employee value proposition (EVP) has become a major focus in the advertising industry in Dublin too. For example, for the last three years, Core Media - Ireland’s largest communications company - has been voted as one of the top three workplaces in Ireland among companies employing between 100 and 300 people. Benefits such as free food, break-out areas, flexitime and working from home have also become the norm within the industry. Work / life balance is very important to our clients and Dublin offers you a wonderful quality of life. It has been ranked 33rd on Mercer’s 2016 Quality of Living list of 230 cities throughout the world - above London which ranked 39th; Edinburgh (46th); Paris (37th); Madrid (52nd) and Rome (53rd). The Irish are great fun to work and socialise with, and I believe we have the best beer in the world in Guinness! Commuting to work is fairly easy as it takes less than an hour to get across the city, even in rush hour. You’re also within hours of some of the finest scenery in Ireland if you fancy a change from the city on the weekend. All in all, Dublin is a fantastic place to live and work. "I have recently set up my own digital marketing agency at Digital Quarks. Starting out on your own is a lifelong ambition for most, and for me it was made possible five years ago when I made my decision to move from London to Dublin. "Doing my research, I found what we now know is true - that Dublin is primed to be the talent hub for all those working in the marketing and tech industry. It relentlessly seeks to attract the best brands and talent into its talent hub, nurturing a culture of entrepreneurship and comradeship unmatched elsewhere. I want to be a part of that." Are you thinking of relocating to Dublin? Please reach out to me at morgan@talenthub.ie as we are currently recruiting for a range of roles including strategic planners, media planners, creatives and digital project managers. 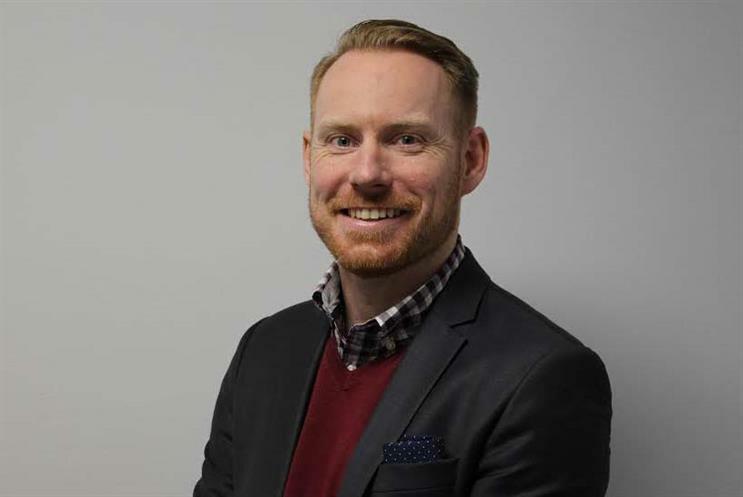 Morgan Cummins, senior recruitment manager at TalentHub, is an experienced marketer who has been lucky enough to work in various international markets like Australia, the Middle East and Ireland over the last 15 years. He has experience in building new brands, running an ad agency and hiring the best talent for clients.